The 2018 Ford Aspire facelift will come with a revised cabin equipped with a dashtop touchscreen infotainment system similar to the Freestyle and EcoSport. 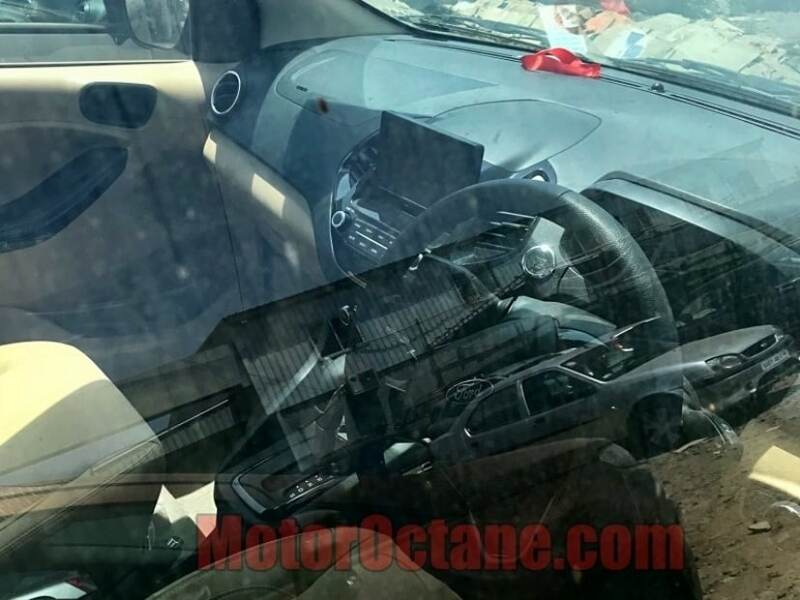 Recently, a new set of spy images of the upcoming Ford Aspire facelift have surfaced online and this time around we get a sneak-peek at the new cabin as well. 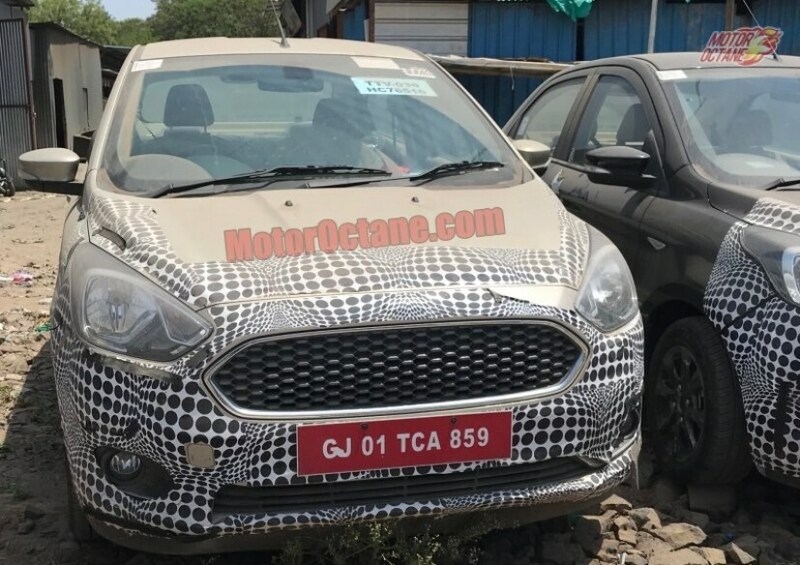 Expected to be launched in India in coming months, the 2018 Ford Aspire facelift will get a bunch of cosmetic updates, improved features, and as revealed by these latest images, an updated cabin as well. Ford India has already halted the production of the pre-facelift Aspire sedan at its Sanand plant, in March this year, which means the launch of the updated model, is not very far. While the cabin image might not be very clear, we still get to see a bunch of changes compared to the pre-facelift Ford Aspire. Starting with the similarities, the Aspire facelift still comes with the black and beige dual tone treatment and the dashboard design also seems unchanged to an extent. However, instead of the monochrome infotainment screen, now the Aspire comes with a dashtop touchscreen display, similar to the Freestyle and the EcoSport. Courtesy of the new system, there are lesser buttons for in-car controls and repositioned central air-con vents. There is also an engine start-stop button positioned closer to the driver and we also see an automatic shifter lever, which means the car will continue to get an automatic variant. The rest of the car is still heavily covered in camouflage so we won't be able to comment much on the visual updates. Having said that, based on the exposed bits, we see that the Aspire facelift gets a new mesh grille instead of the chrome slats, and the headlights too now seem to come with minor tweaks and LED position lights. The front bumper too appears to have been redesigned and comes with a wider airdam. The car also gets a new set of nicer looking alloy wheels and slightly tweaked taillamps and rear bumper. 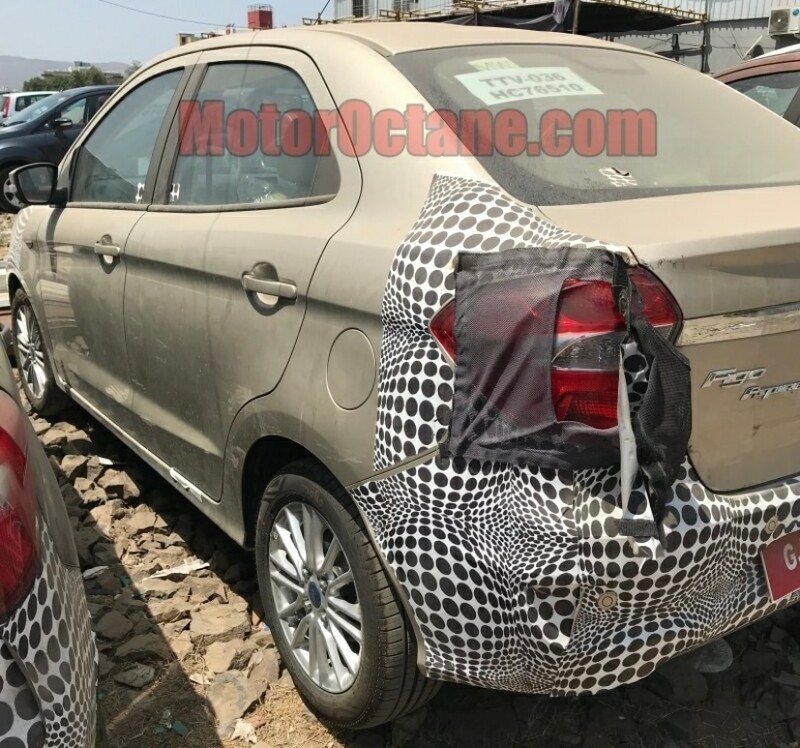 Interestingly, the car is seen with a "Figo Aspire" badging, which is surprising considering the fact that last year, Ford dropped the Figo tag from the model name. Mechanically, the new Ford Aspire facelift is expected to get the new 1.2-litre, three-cylinder petrol engine that was introduced with the new Freestyle, along with the existing 1.5-litre, four-cylinder diesel engine. While the former makes 94 bhp and 115 Nm of peak torque, the oil burner develops 99 bhp and 215 Nm of peak torque. The top-end model, however, will be powered by the new 123 bhp, 1.5-litre petrol engine, also from the Dragon family, which was introduced with the EcoSport. While the former two will get a 5-speed manual gearbox as standard, the range-topping 1.5-litre petrol motor is likely to come with the new 6-speed automatic torque converter, instead of the older DCT unit.